Château Margaux is one of those legendary Grands Crus that have been fundamental in the establishment of Bordeaux’s reputation, and more particularly the reputation of the Left Bank, in the Medoc region. Since the twelfth century this property has been known as the "Mothe de Margaux" since the Medoc is home to a landscape without relief. At the end of the 17th century, Château Margaux occupied the same land it still occupies today: 262 hectares, one third of which is dedicated to the cultivation of the vine. A landmark period for Margaux, known as the estate’s "golden age" began with the recognition of the Grand Cru abroad, thanks to the influence of the English and Dutch. From then on, its reputation was confirmed when the estate obtained the title of "Premier Grand Cru Classé" in the official classification of 1855. Margaux was the only one of the four chateaux present to obtain a score of twenty out of twenty. With the acquisition of the property by André Mentzelopoulos in 1977, Château Margaux turned a new page in its history. A true visionary, the new owner carried out spectacular work both on the vineyard and in the cellars. The chateau itself is known in the appellation for its architectural prowess, radiating the superb qualities of the estate’s unique terroir. 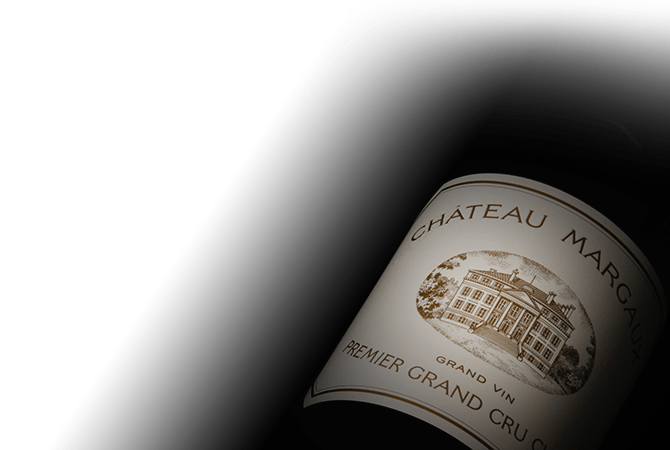 Elevating the quality of the Château Margaux Grand Vin to an even higher level, Mentzelopoulos re-introduced the Second Wine of the Château, the Pavilion Rouge du Château Margaux, whose first vintage was in 1908. Following in her father's footsteps after his untimely death, Corinne Mentzelopoulos took control of the family business, injecting her own energy and passion into the Château Margaux estate, which has become a Bordeaux masterpiece, recognised far and wide for its neo-Palladian style. As a result of the extremely close attention paid to the wines by Corinne Mentzelopoulos and her team, vintage after vintage, Château Margaux wines consistently stand out among the best in the world. Château Margaux owes its remarkable quality to its rare and unique terroir. The estate’s vineyards are planted mostly with the region’s flagship grape variety, Cabernet Sauvignon, supplemented with Merlot, Petit verdot and Cabernet Franc. The clay-limestone soils of the estate give rise to legendary wines, with a classy and sensual quality. Finesse, rare elegance and complexity are the most relevant characteristics of Château Margaux wines. These wines also offer aromas of rose and violet, concentrated notes of black berries and an olfactory palette exuding the identity of the appellation. On the palate, the body is fantastically structured with highly concentrated tannins without an ounce of bitterness, but with shocking length and freshness. Château Margaux produces a great white wine as well, the Pavillon Blanc of Château Margaux. This 100% Sauvignon Blanc, is characterised by a great finesse, complexity and length continuing on a mineral frame. With its fantastic potential for guard, it is one of the greatest white wines of Bordeaux.